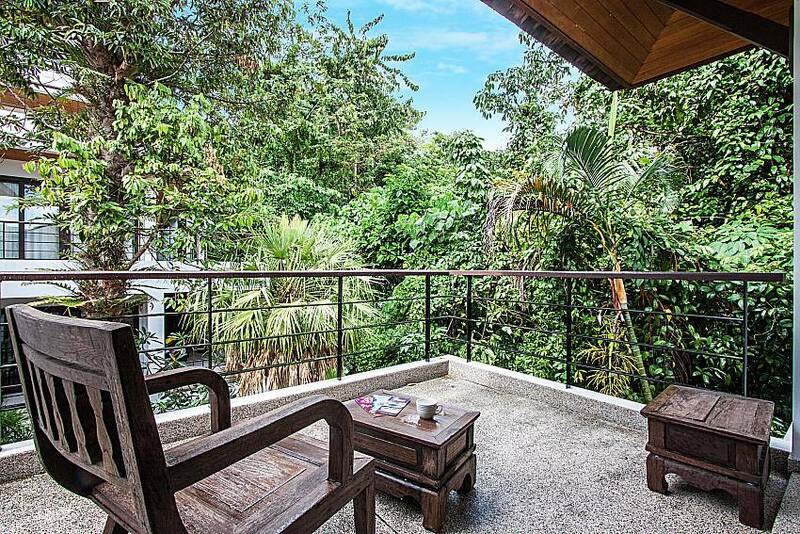 This premier holiday rental caters to couples and individuals looking to be close to nature while also enjoying latter-day amenities and services. 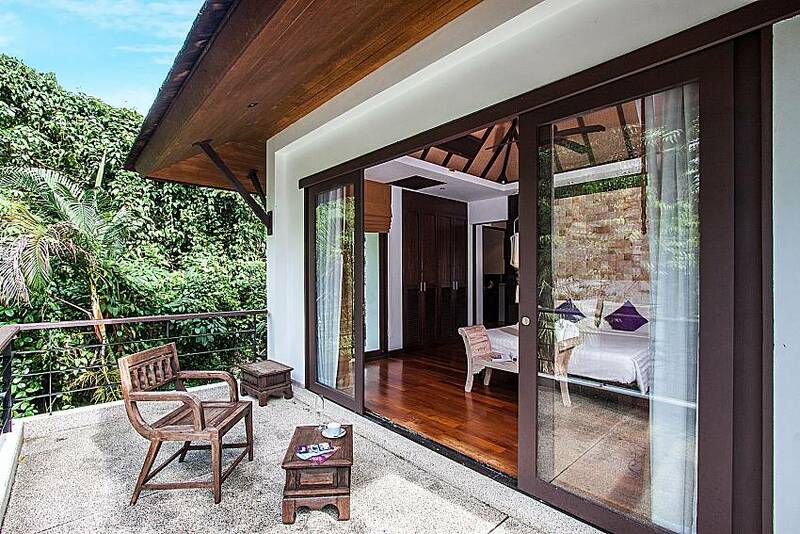 Unwind at the property or go exploring the exciting surrounding scene – here you can truly have it all! 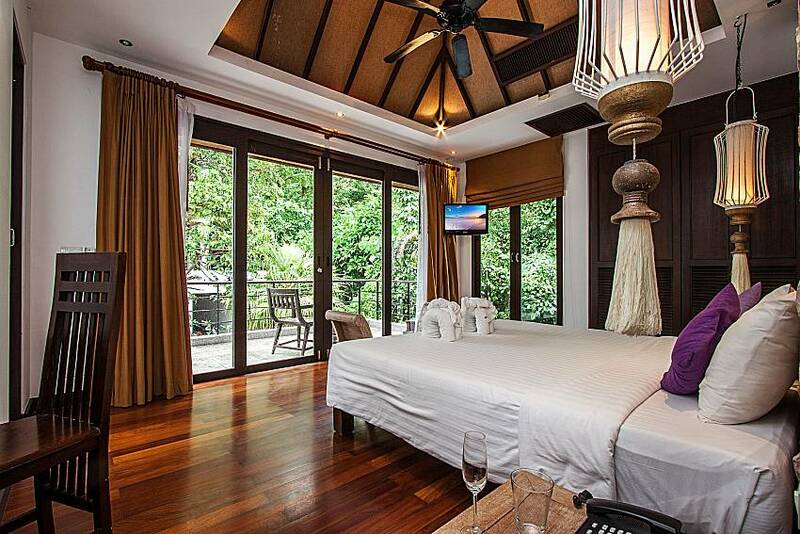 Laze away hot summer days in a seductive tropical nest for two. 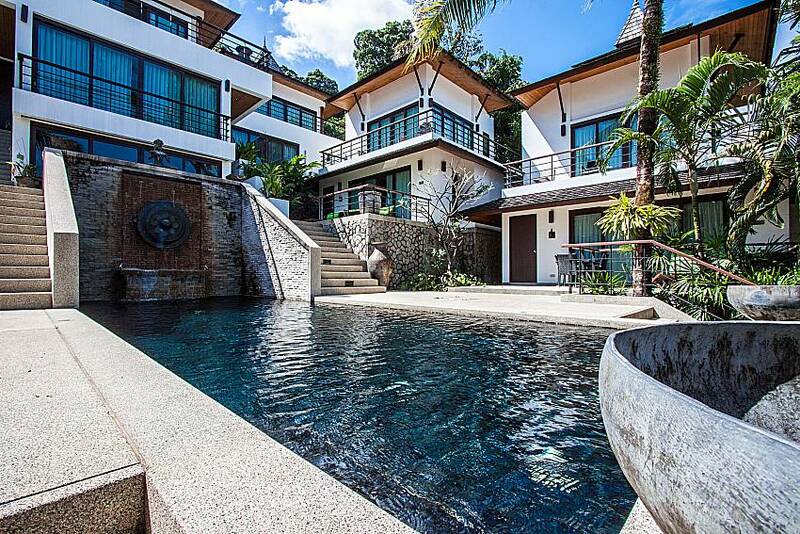 This modern Asian property with 24/7 security offers a great escape from everyday rush – lounge around the two communal pools, keep up exercise routine at the gym, or simply relax on your private balcony as you take in the serenity of the environment. 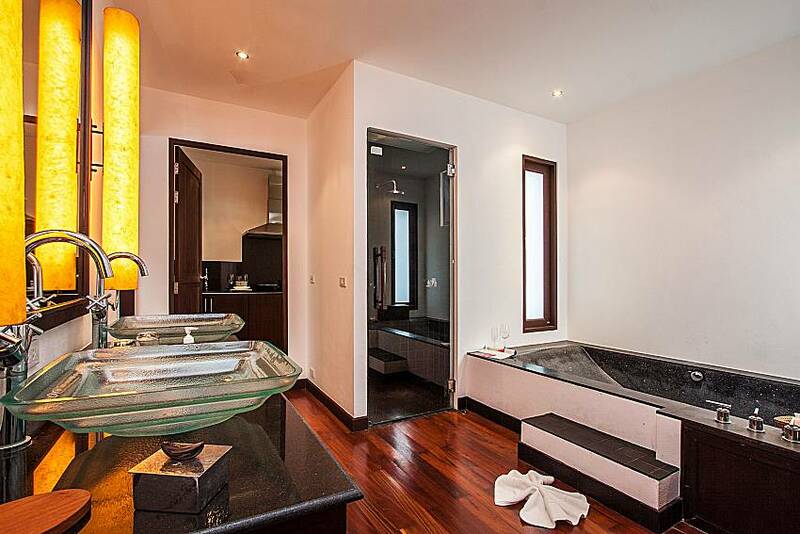 Alternatively, walk over to the nearest spa or visit one of the restaurants in the area, all just 500-600 meters away. 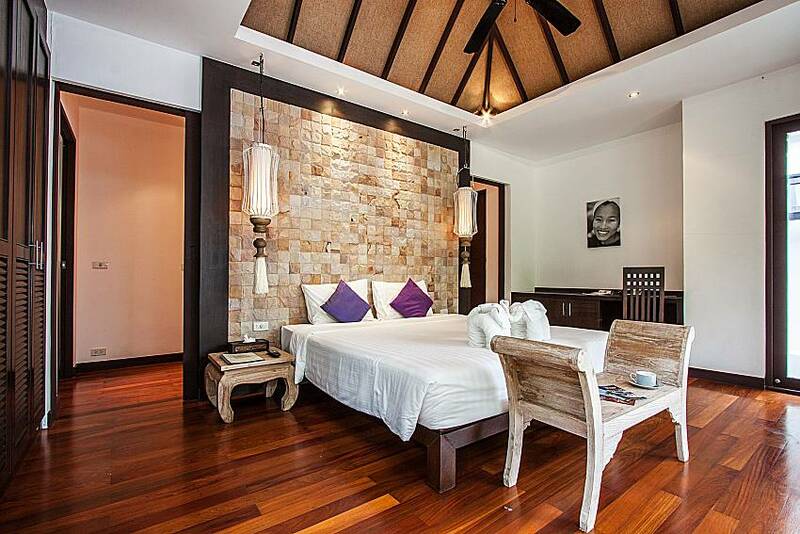 The design of the studio is simple Asian yet lavish, with distinctive wooden furniture. 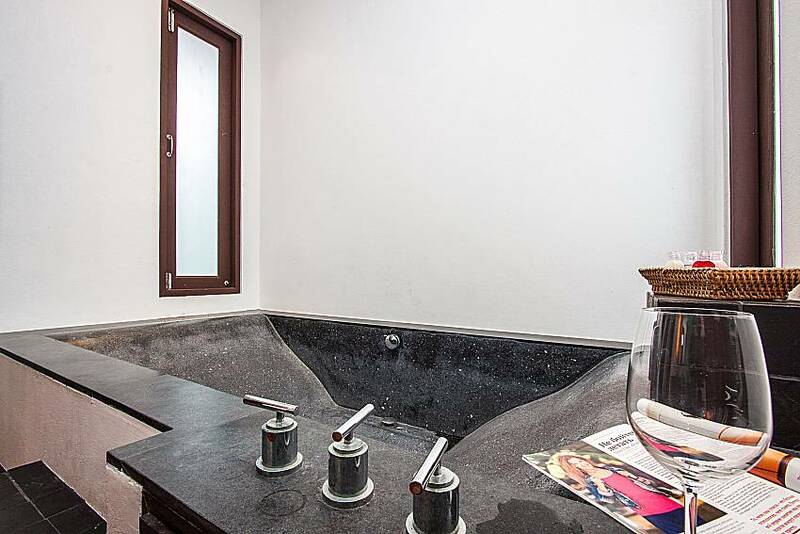 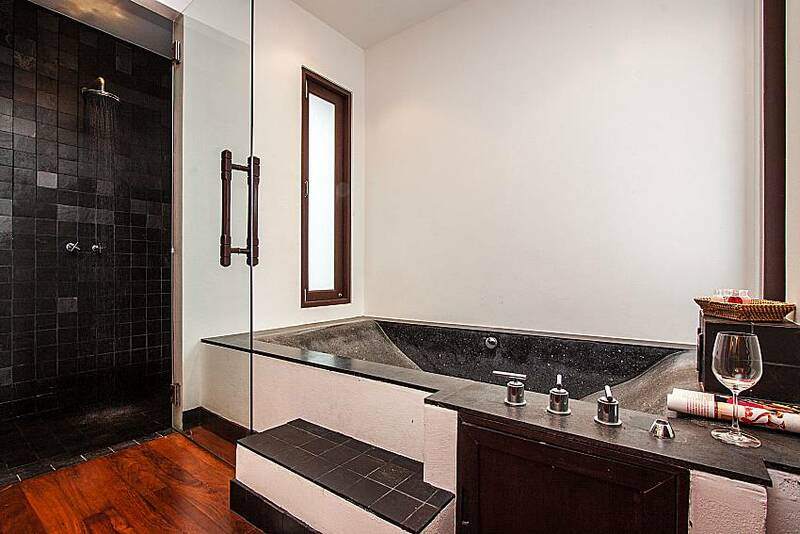 Entering, you will come into the well-appointed bathroom with a large granite tub, rain shower, 2 basins for added comfort, and a separate toilet. 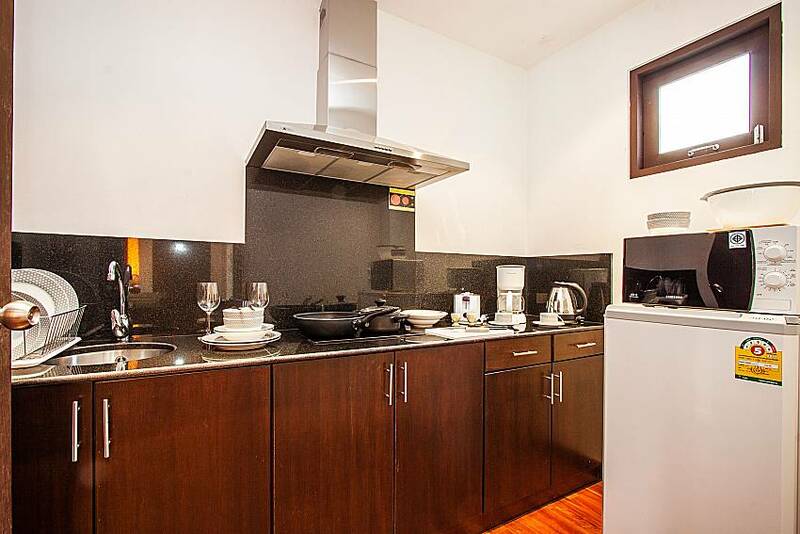 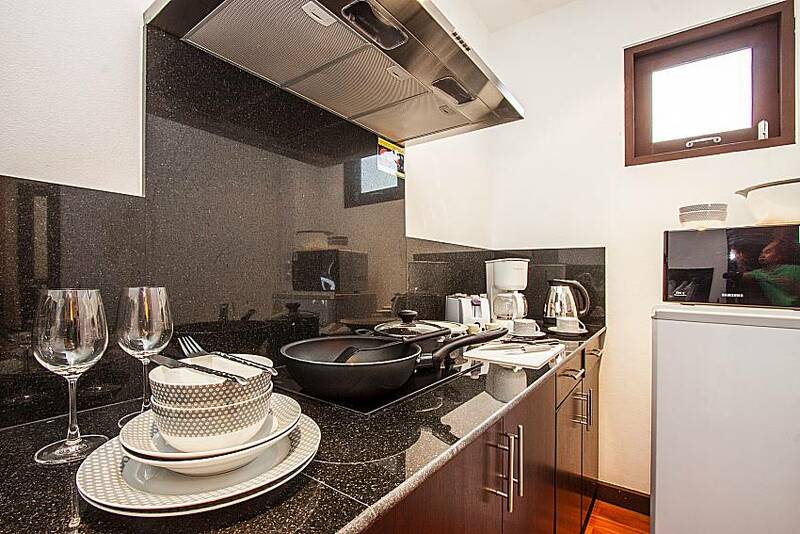 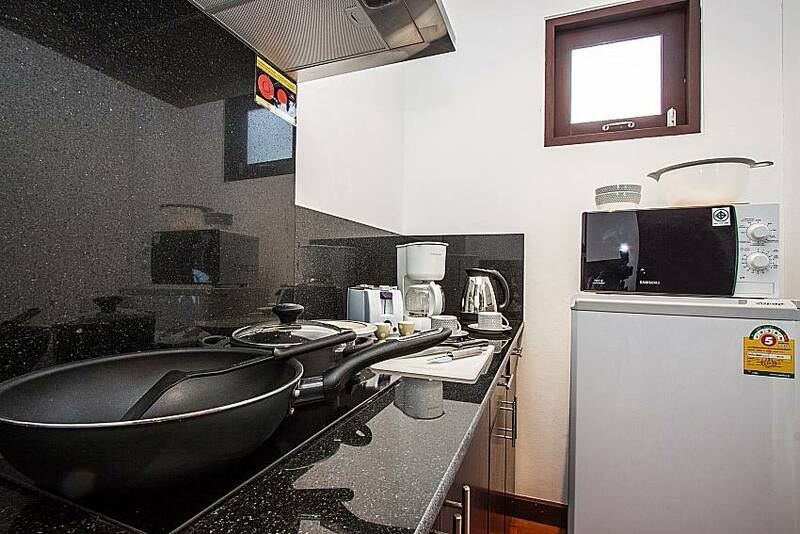 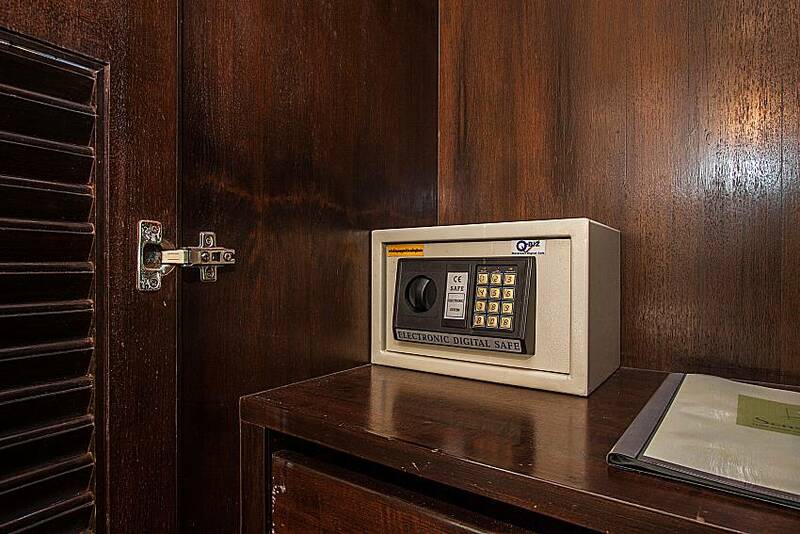 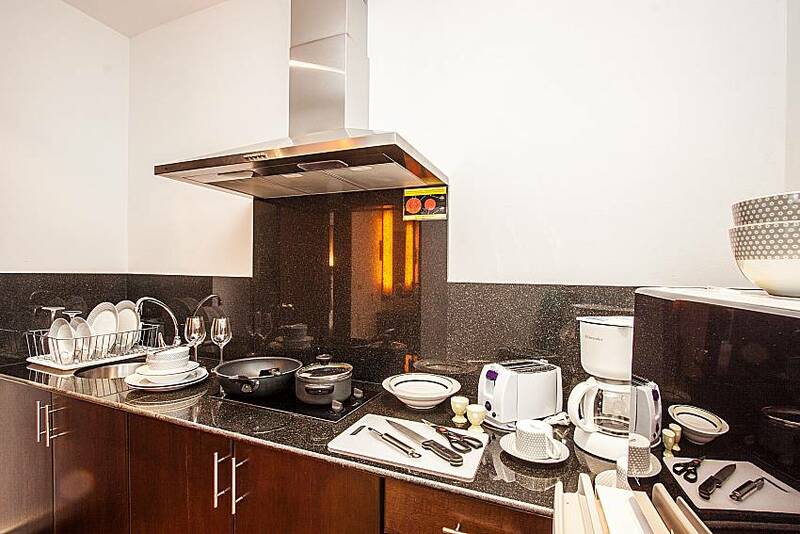 Further in is the fully equipped western kitchen that also features a microwave, toaster, kettle, and a coffee maker. 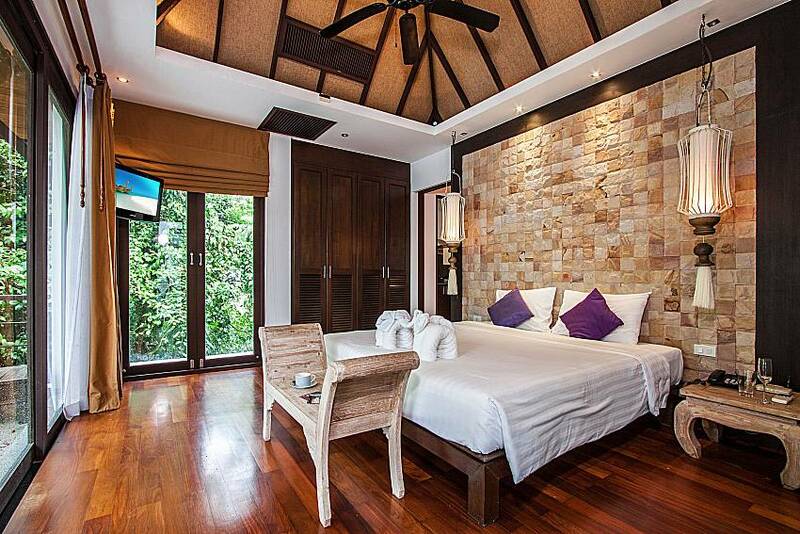 The bedroom boasts a sand stone wall above the king size bed, and beside the wardrobe with safe and a small working corner, it also has a TV. 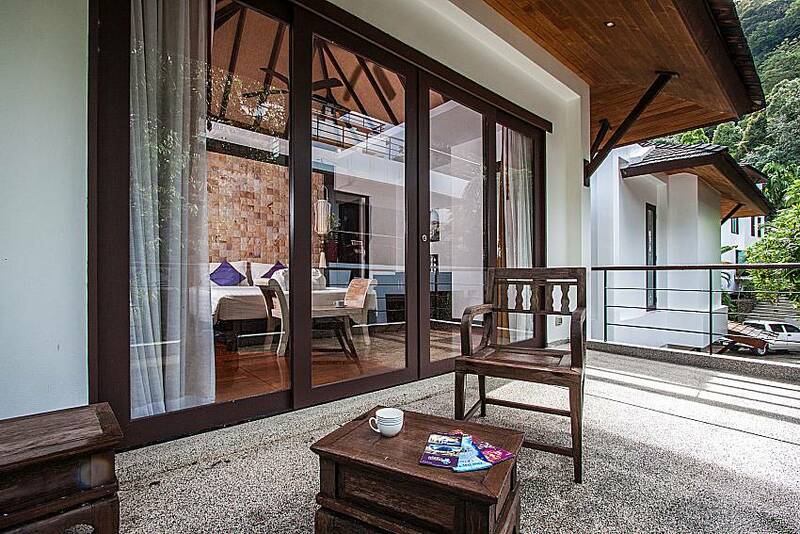 The glass doors with blackout curtains that ensure a good night’s sleep open to the balcony with a coffee table. 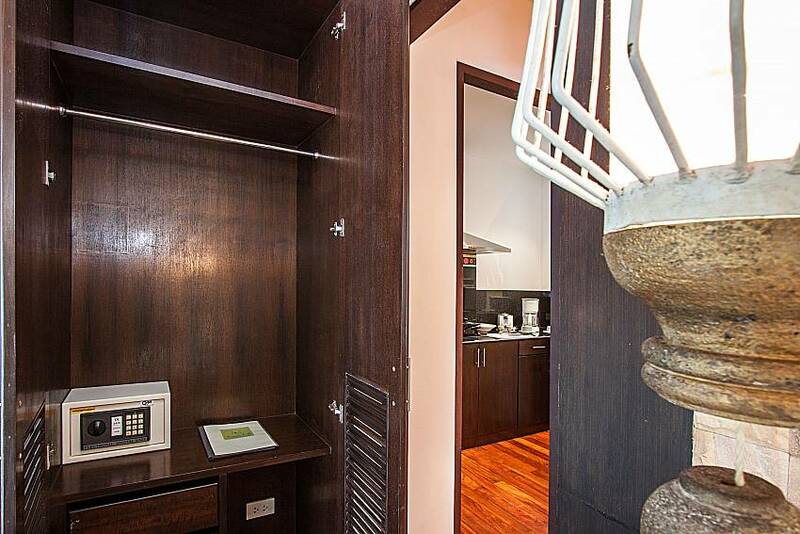 The place you will never want to leave comes with secure parking space and daily maid service, and there are 3 more similar units your family or friends could rent. 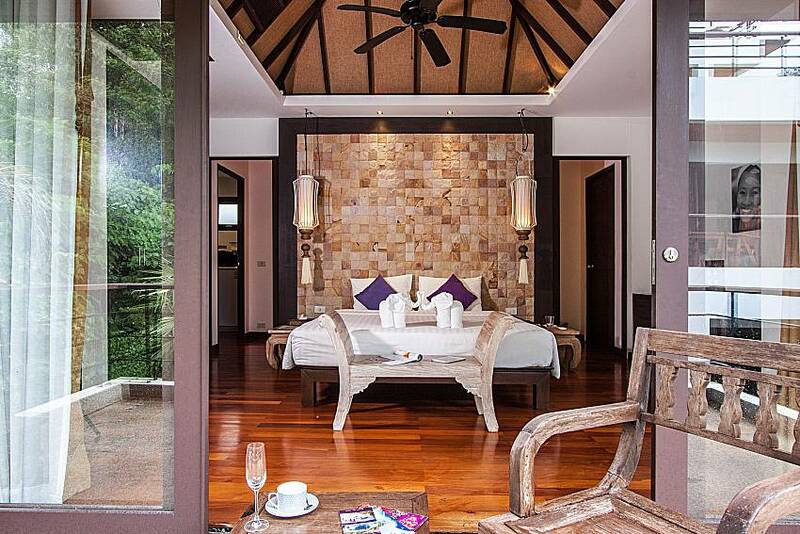 If you aren’t crazy about staying in the busiest tourist areas but wish to be well connected to various parts of amazing Phuket, Kathu is a great pick. 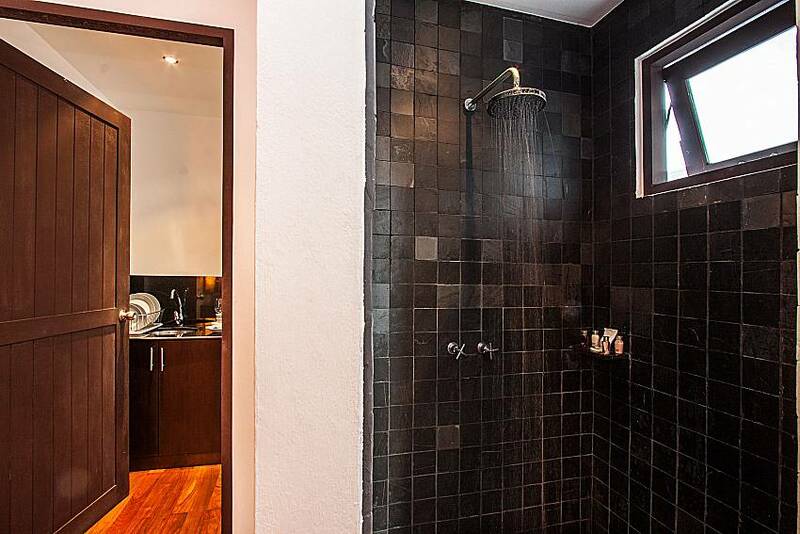 Golf lovers will enjoy the surrounding golf courses such as Red Mountain Golf Club which is 3 km away, and you shouln’t miss out on Kathu Waterfall that is 2.4 km away. 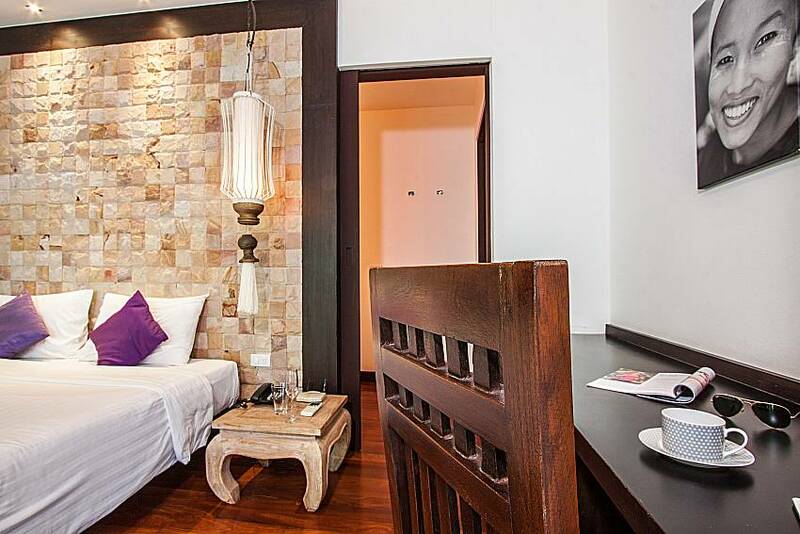 The nearest beach is in Patong, about 7 km away, which is also the approximate distance to Patong’s popular shopping mall, Jungceylon. 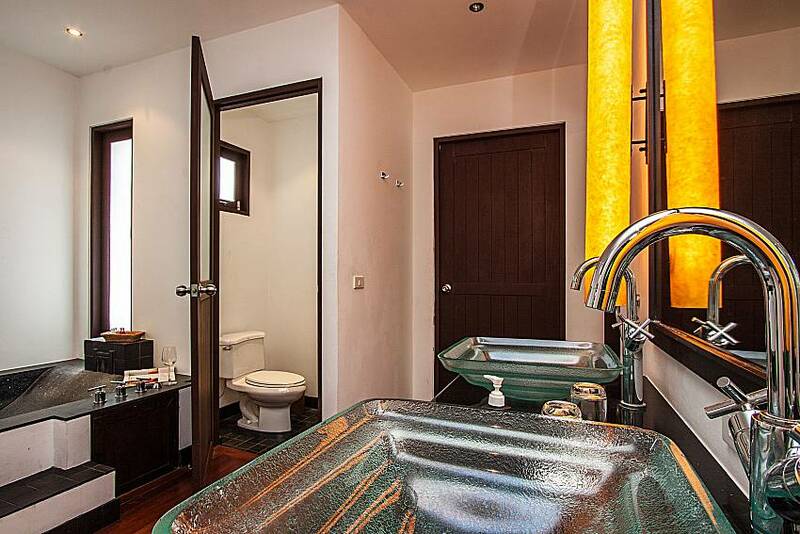 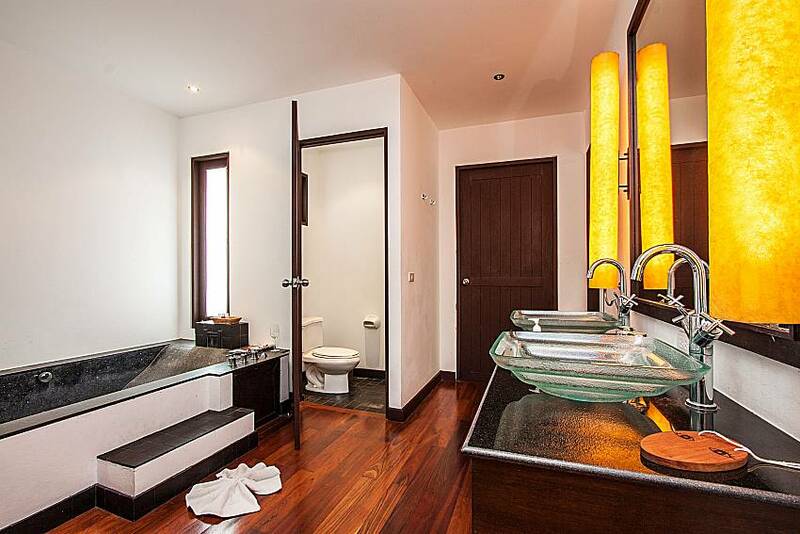 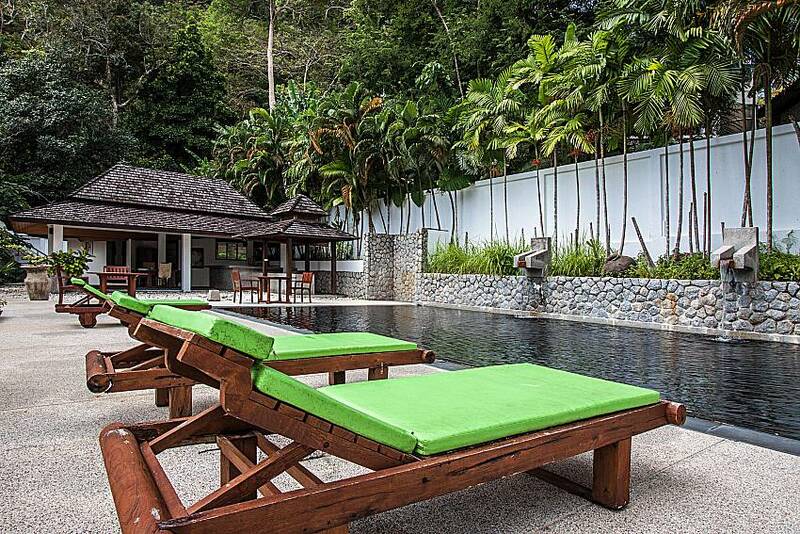 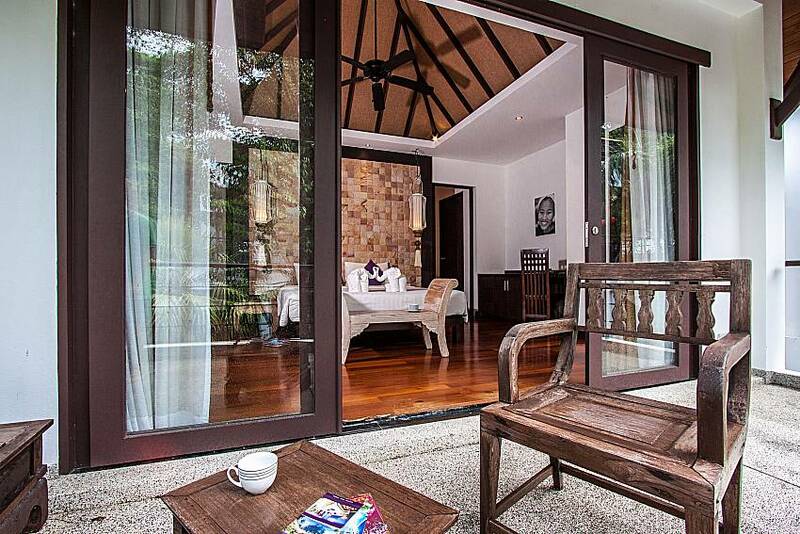 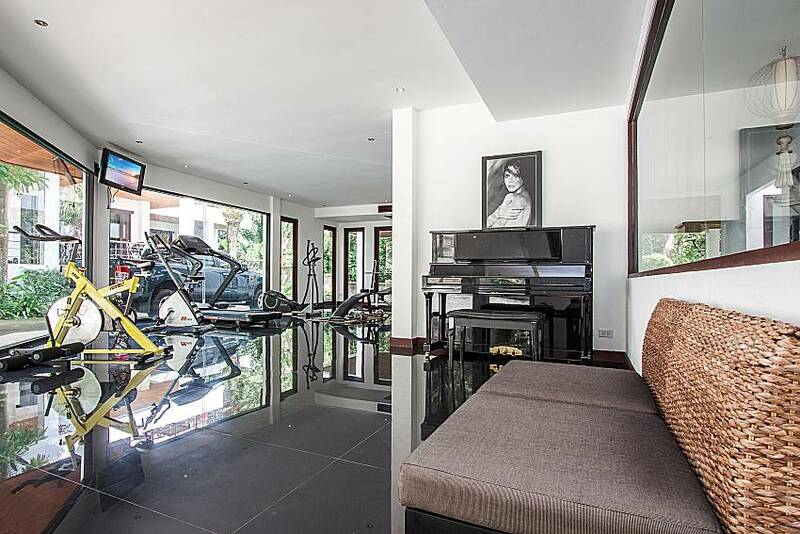 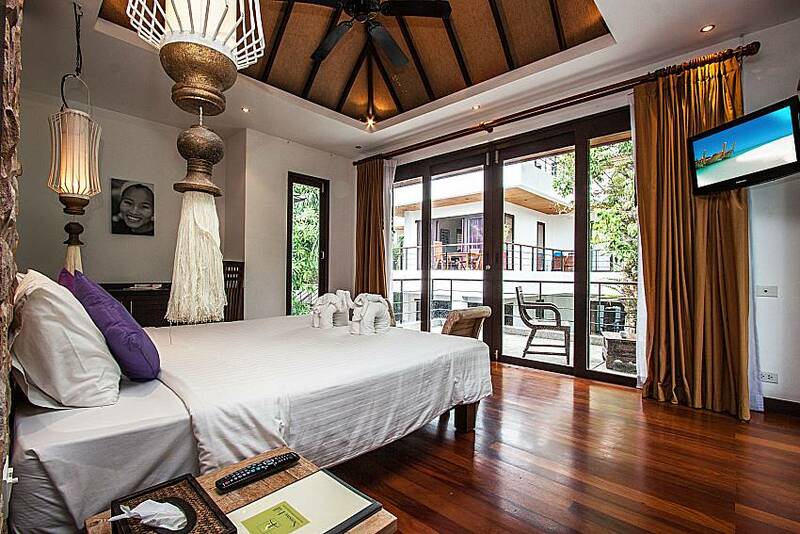 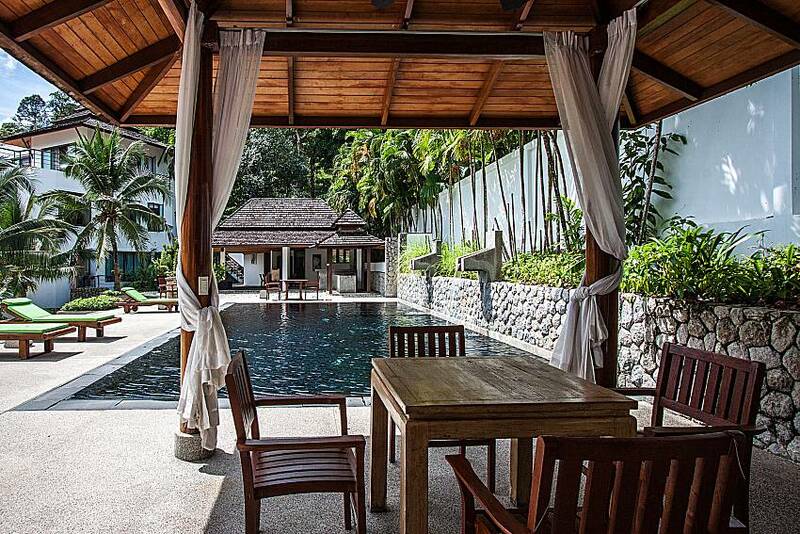 To view all Phuket villas for rent click here.